Robert “Bobby “ Perdew age 70, New Castle resident passed away January 13, 2019 at The Waters of New Castle. He was born October 27, 1948 in New Castle a son of the late Rollo and Opal Wright Perdew. He was a graduate of New Castle Chrysler High School and received a degree from Ball State University in Physics and Mathematics. Bobby taught physics and mathematics at Ball State University for several years in addition to other universities. He also had worked for the Ball State Astronomy Lab and Observatory, and as a private contractor for NASA and the Goddard Space Center in California a part of NASA. He was an accomplished musician and could play many instruments including the french horn, piano, violin and trumpet. Bobby loved movies, especially horror movies, reading, studying, and volunteering for various organizations including the Henry County Historical Society Museum and serving as a poll worker for local elections. He will be remembered as a man with a great sense of humor and one who loved children. 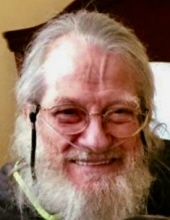 Left to cherish his loving memory include his siblings: Bethany Danner and her husband, Jack of New Castle, Gary Perdew of Ft. Pierce, Florida, Kevin Perdew and his wife Amy of Syracuse, New York many nieces, nephews and cousins,Special family friend Pam Miller of New Castle. He was preceded in death by his parents, sister Claire Brown,paternal grandparents Robert and Winifred Perdew, maternal grandparents Sally and Edgar Wright, aunts Doris “Dee Dee”, and Lorene Perdew, uncles Warren Wil D., and Robert Perdew, Kenneth Price. Family and friends may call from 1 pm to 3 pm on Wednesday January 16, 2019 at Macer Hall Funeral Home and Cremation Service. Funeral service will be held at 3 pm on Wednesday January 16, 2019 at Macer Hall Funeral Home and Cremation Service with Rev. Chris Gammello, officiating. Macer Hall funeral directors are honored to serve the family of Bobby Perdew. To send flowers or a remembrance gift to the family of Robert “Bobby “ Perdew, please visit our Tribute Store. "Email Address" would like to share the life celebration of Robert “Bobby “ Perdew. Click on the "link" to go to share a favorite memory or leave a condolence message for the family.